This is so awesome, it’s like Christmas and my birthday (and Lent) all rolled up into one. And, because I am so wonderful, I included all the templates to-scale. That’s right, no running to the library to try and blow up the pattern (I hate doing that). Just print at home and get crafting! I suppose I should calm down and tell you a little bit about the Nativity Felt Christmas Stocking Pattern, huh. So, in June we added a sweet little boy named Dominic to your family–and he didn’t have a Christmas stocking of his own this year (bad mom). I just never found time to make one. I cross stitched elaborate stockings for my older 2 kids, but I just didn’t have time to do that this time around. 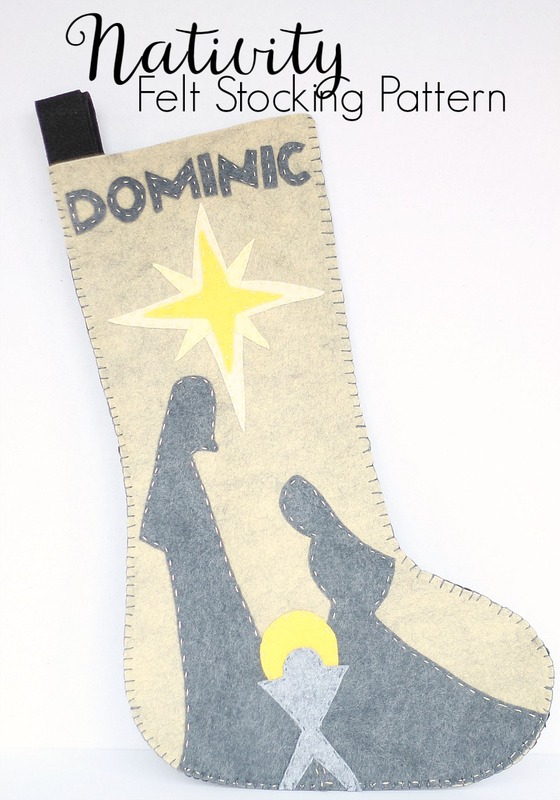 So, I thought about what I wanted his stocking to look like–I wanted it to have the nativity on it, I wanted it to be classic and I wanted to be able to make it in about 2 hours. Va la! This is what I came up with, and I’m pretty happy with it! And it’s done with plenty of time to spare! 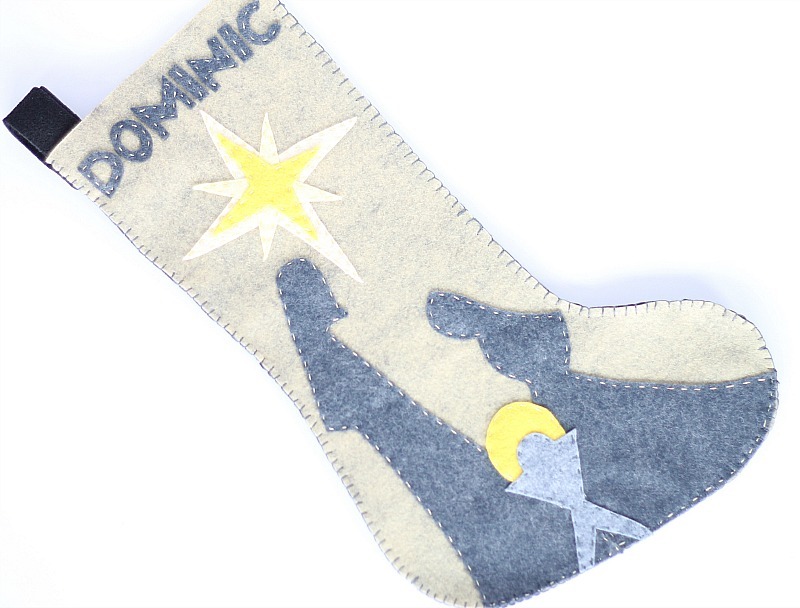 If you decide to buy the pattern for this Nativity Felt Christmas Stocking (which is just $2 today!) you will get detailed instructions, 4 pages to-scale templates, 2 versions of the alphabet (bigger and smaller) for personalization and a detailed supply list. 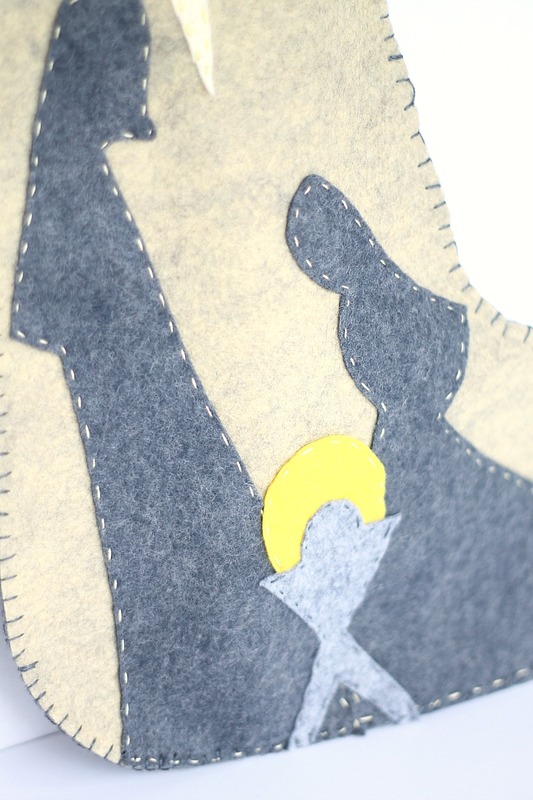 As always, I used the beautiful felt from BenzieDesign to make my stocking. Over all I tried to make this pattern as user-friendly as possible. Christmas is the time of year that everyone is a crafter, so even if you have never embroidered or worked with felt before you will be able to accomplish this project. Really! So, go buy your pattern. Then, when it’s time to head to the beach and you are looking for a little stitching project to work on you will have this…and your sweet little baby won’t be without a stocking at Christmas! This pattern is so beautiful, and you can’t beat the price! Thanks!! !